Situated in the upper part of the town. Take road that passes the Western Isles Hotel. Memorial is 100 yards past the Hotel on right hand side of the road. Regiment/Service : Royal Naval Volunteer Reserve Anson Bn. R.N. Div. Panel Reference : Pier and Face 1 A.
Regiment/Service : Argyll and Sutherland Highlanders "A" Coy. 1st/8th Bn. Grave Reference : X. C. 15. Additional Information : Son of John and Mary Cameron, of Ferry House, Craignure, Mull, Argyll. Born at Tobermory, Mull. Regiment/Service : Cameron Highlanders 5th Bn. Panel Reference : Pier and Face 15 B. Additional Information : Son of Catherine Campbell, of 7, Argyll Terrace, Tobermory, Argyllshire, and the late John Campbell. Regiment/Service : Mercantile Marine S.S. "Arbonne." Additional Information : Son of Donald Douglas and Margaret Cameron Douglas, of Tobermory; husband of Alexandra Clegg Douglas, of 3, Bonar Place, Ferry Rd., Edinburgh. Regiment/Service : Northumberland Fusiliers 10th Bn. Panel Reference : Panel 19 to 23 and 162. Additional Information : Son of the late Mr. Donald Douglas and of Mrs. Douglas, of The Cottage, Tobermory, Isle of Mull. Regiment/Service : Highland Light Infantry 12th Bn. Grave Reference : I. M. 32. Additional Information : Son of Ann Henderson, of Tobermory, Argyll. Panel Reference : Pier and Face 4 C.
Son of Alexander and Betsy MacAllister, of 8, Victoria St., Tobermory, Argyllshire. Regiment/Service : Royal Scots Fusiliers 2nd Bn. Panel Reference : Panel 19 and 33. Additional Information : Son of Mrs. Jessie MacDougall, of 6, Breadalbane St, Tobermory, Isle of Mull, and the late Donald MacDougall. Son Of John & Christina Macdougall Of East Ardon , Dervaig. He was born In Tobermory In 1891. He was buried in the Hyde Park (East Berks) Cemetery at Hainaut in Belgium. Son of Jessie McFarlane (nee McLean), of 10, Main St., Tobermory, Argyllshire, and the late John McFarlane. Additional Information : Son of Donald and Christina Macdougall MacIntyre. Son of Christina McKechnie (nee Shaw), and the late John McKechnie; husband of Mary McKechnie (nee Stewart), of Staffa Cottage, Tobermory, Argyll. Born at Anderston, Glasgow. Regiment/Service : Seaforth Highlanders 2nd Bn. Panel Reference : Panel 10. Additional Information : Born at Glengorm. Son of Archibald and Elizabeth McKechnie, of Mishnish Lochs, Tobermory, Isle of Mull. Son of Margaret McKinnon, of Claremont Place, Craigard Rd., Oban. Native of Tobermory, Argyllshire. Regiment/Service : Cameron Highlanders 6th Bn. Grave Reference : IV. F. 10. Cemetery : Vermelles British Cemetery, Pas de Calais, France. Additional Information : Son of Duncan and Jessie MacKinnon, of 8, Argyle Terrace, Tobermory, Argyllshire. Son of Alexander and Margaret MacLean, of Elmo Cottage, Albert St., Tobermory. Grave Reference : XVI. B. 10. Additional Information : Son of Hamilton and Rachel Cameron Teggart, of Baliscate, Tobermory, Argyllshire. His twin brother Capt. Frances William Stuart Teggart, also fell. Additional Information : Son of Hamilton and Rachel Cameron Teggart, of Baliscate, Tobermory, Argyllshire. His twin brother Lieut. John Cameron Thomson Teggart, also fell. Husband of Mary Flora Heron, of 2, Victoria St., Tobermory, Isle of Mull. Son of Alexander and Janet McLean, of Port Dundas, Glasgow; husband of Mary McLean, of 54, Main St., Tobermory, Argyllshire. Son of John H. and Janet S. Rose, of "Dunchuach," Tobermory, Isle of Mull. Panel Reference : Panel 14. Additional Information : Son of Hugh and Katherine, of Tobermory, Isle of Mull. Grave Reference : Grave 547. Additional Information : Son of Mr. and Mrs. Donald Clark, of Tobermory; husband of Margaret Clark, of Tobermory. Son of Richard Hughes, and of Dora Kate Hughes, of Tobermory. Panel Reference : Panel 33. 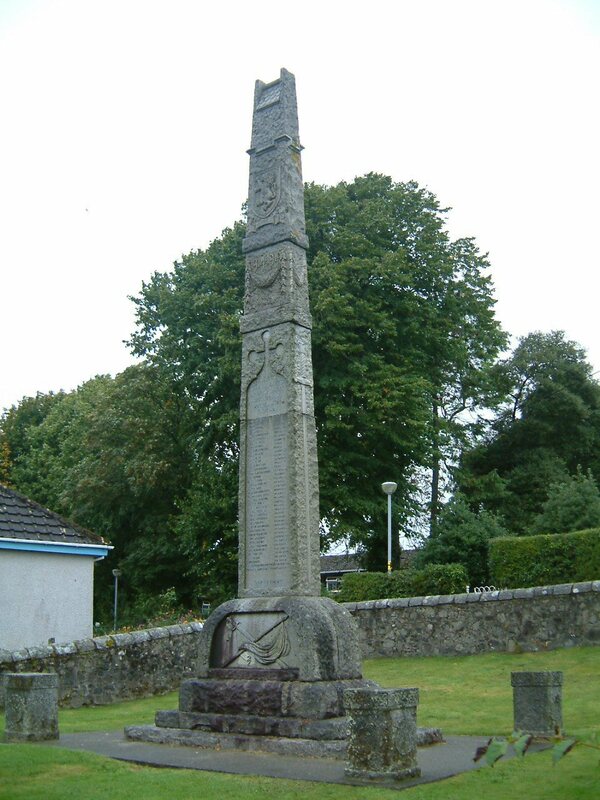 Additional Information : Son of Roderick and Flora MacDonald; nephew of Annie S. MacKinnon, of Croggan, Isle of Mull. Panel Reference : Panel 7, Column 1. Memorial : Liverpool Naval Memorial, Georges Parade, Liverpool. Additional Information : Son of Duncan and Joan MacIver, of Tobermory, Isle of Mull, Argyllshire; husband of Christine MacIver, of Tobermory, Isle of Mull, Argyllshire. Additional Information : Son of Kenneth S. Maclean and Margaret J. Maclean, of Tobermory. Regiment/Service : Royal Naval Patrol Service H.M. Trawler Northern Princess (on loan to U.S. Navy). Panel Reference : Panel 9, Column 1. Memorial : Lowestoft Naval Memorial. Lowestoft, Suffolk. 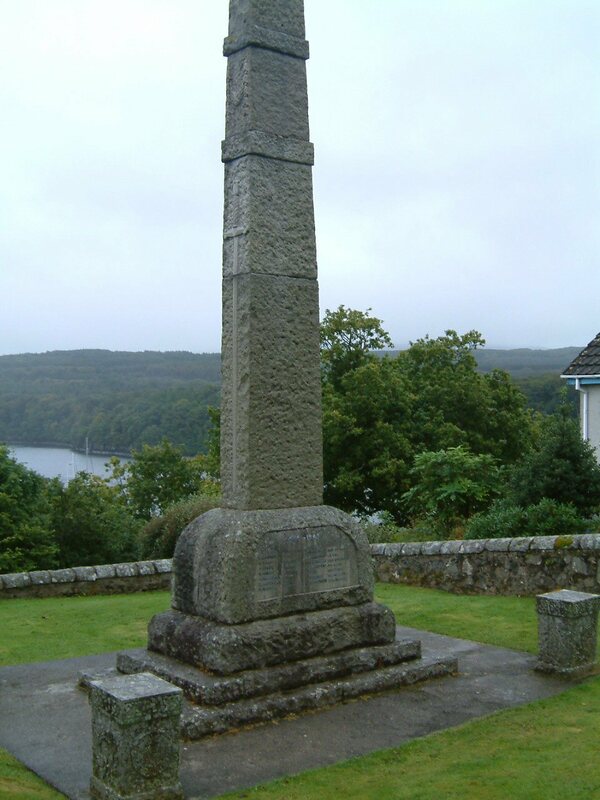 Additional Information : Son of Lachlan and Margaret MacQuarrie, of Tobermory, Isle of Mull. Panel Reference : 51, 1. Memorial : Chatham Naval Memorial, Chatham, Kent. Son of Alexander and Elizabeth MacArthur MacAllister, of Tobermory; husband of Catherine McKay MacAllister, of Balornock, Glasgow. Most regiments are shown only as initials on the memorial. (7) Although listed on the memorial, Neil died peacefully in Dervaig in 1980. Thanks go to Anne MacGregor for supplying details taken from the memorial in Tobermory Parish Church. This list was used to complete the entries taken from the war memorial as some of these are now unclear due to weathering. The war memorial was unveiled and dedicated on 11th November 1921. It was unveiled by a Mrs. Teggart and dedicated by the Rev. J.M. Menzies.